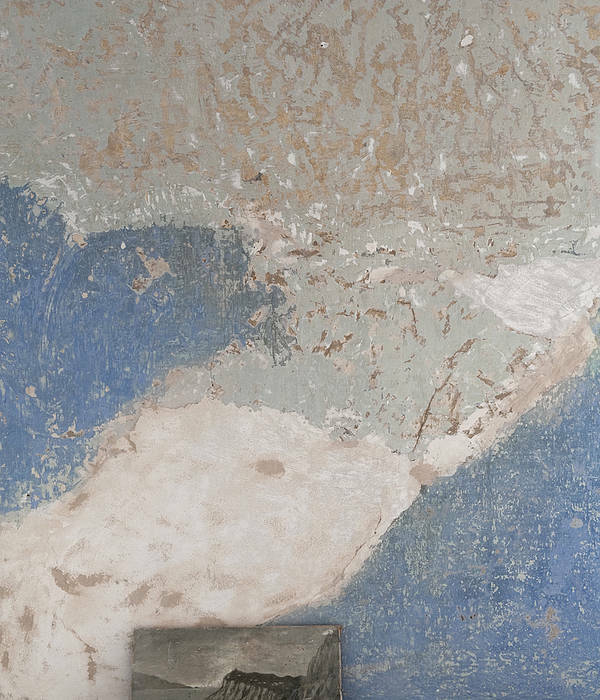 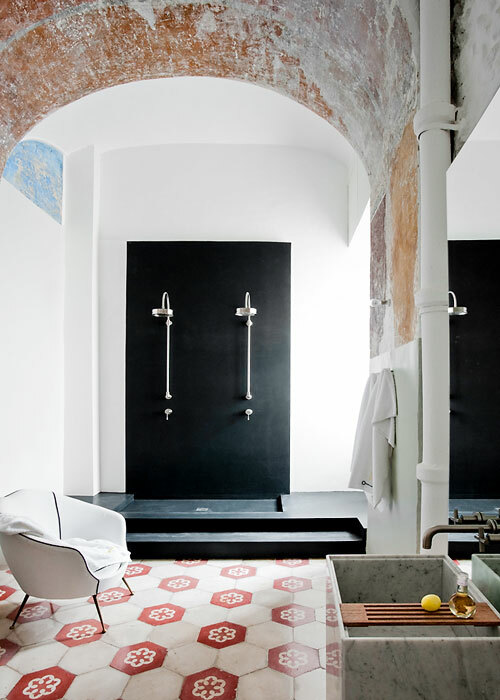 A miniscule boutique hotel concealed within the walls of what was once a convent annexed to Anacapri's Church of San Michele, Caprisuite is destined to become the island of Capri's hippest hideaway yet. 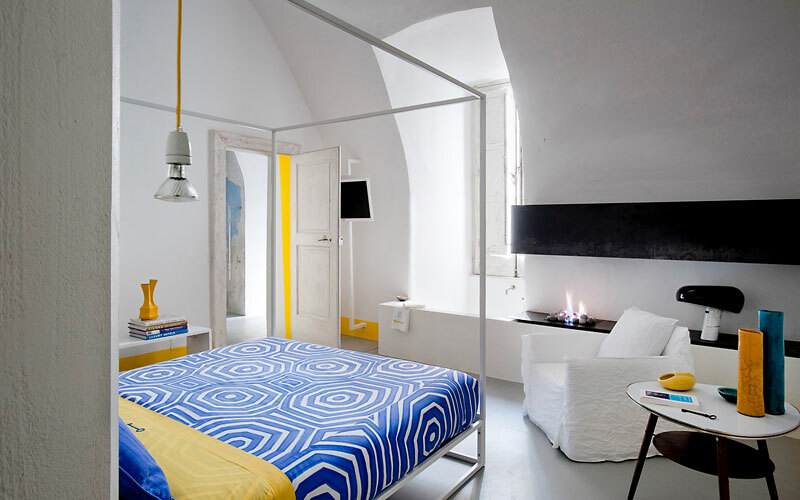 An irresistible Mediterranean bolt-hole, right in the very heart of the historic center of Anacapri, Caprisuite combines iconic items of modern design and 17th century architecture with the kind of effortless elegance Italians do so well. 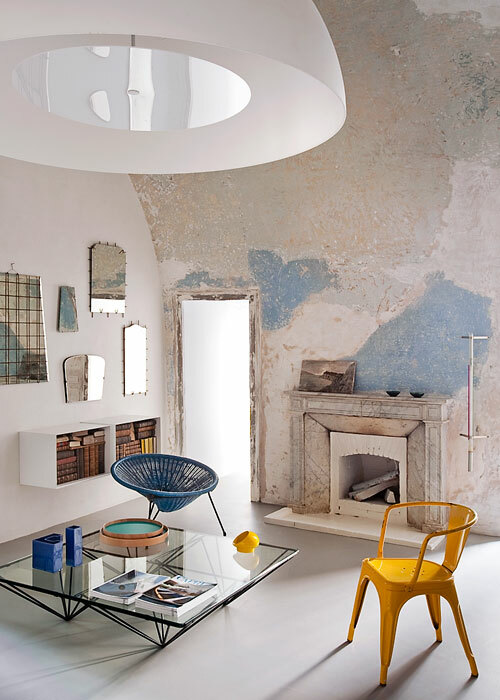 In the sitting room, the massive stone walls and exposed vaults seem to have been purpose-built to display photographer Luciano Romano's stunning poster size images; the skeletal iron constructions by Sicilian sculptor Antonino Sciortino; and Paolo Piva's much-coveted steel and glass coffee tables. 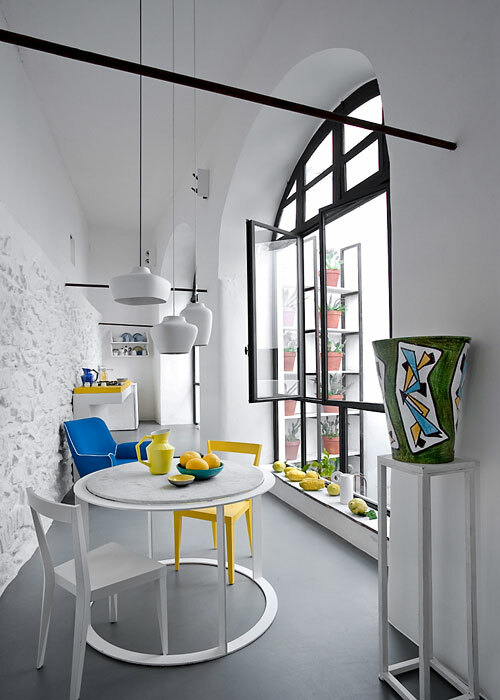 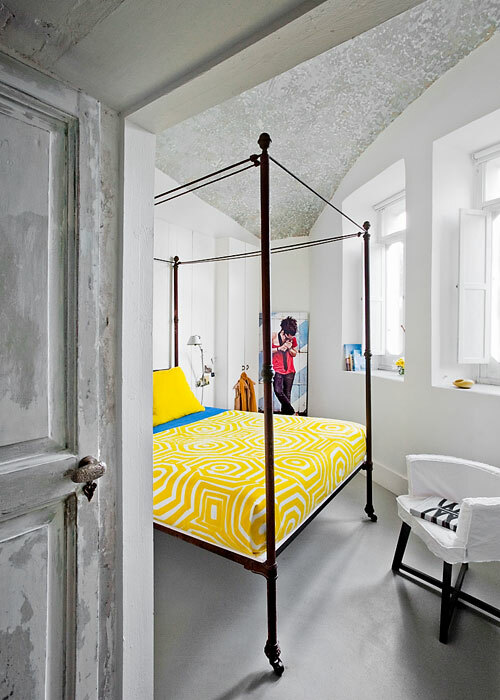 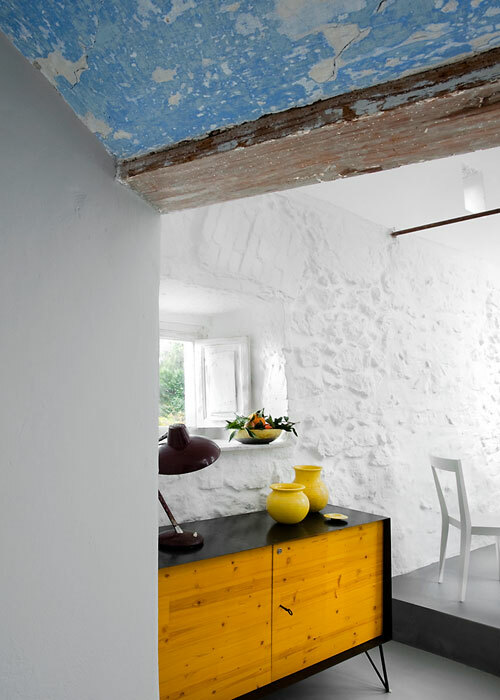 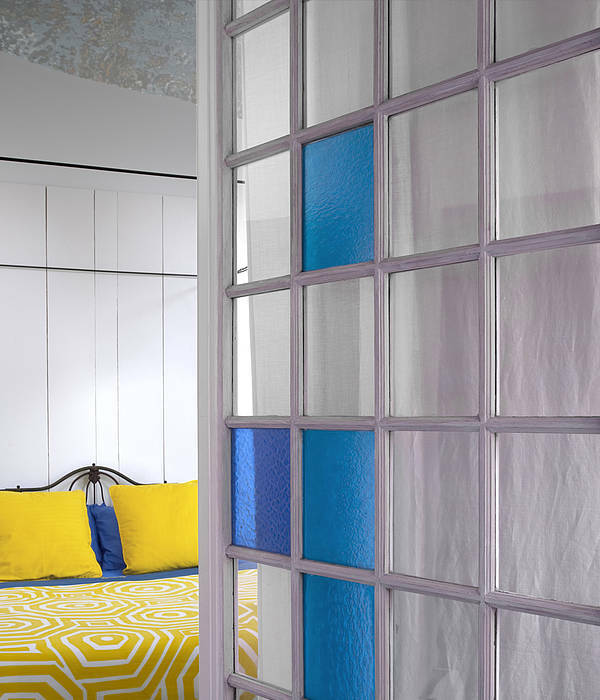 The same seamless juxtaposition of old and new characterizes Caprisuite's two bedrooms, which feature 19th century beds dressed with bright blue and yellow linen by Livio de Simone, silicon vases by Gaetano Pesce and, in the ultra modern bathrooms, fabulous free-standing anthracite resin showers. 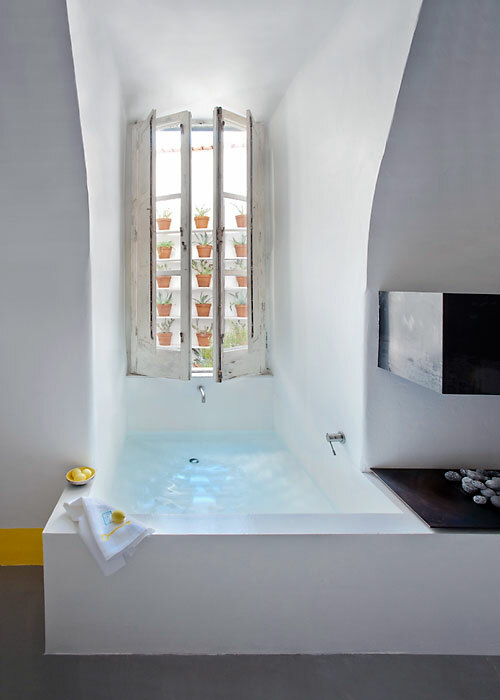 In the larger, "superior suite" there is a small pool in which to soothe away the day. 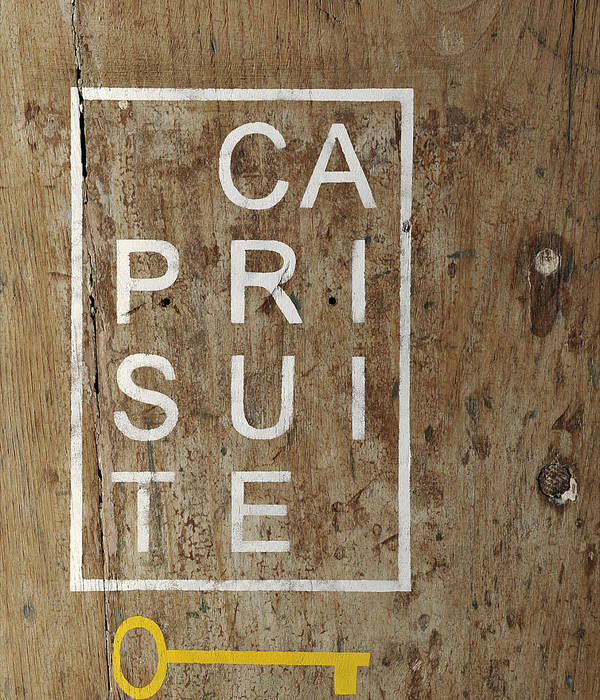 If you like your luxury laissez faire, you'll love Caprisuite. 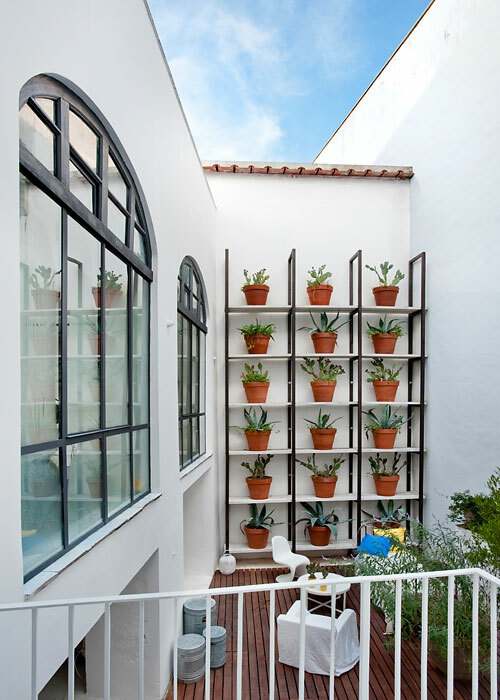 Breakfast is available at any time of the day, and for lunch or dinner, you can hire a personal chef to whip you up that little something or even prepare a full blown banquet, to be enjoyed at leisure in the hotel's attractive courtyard. 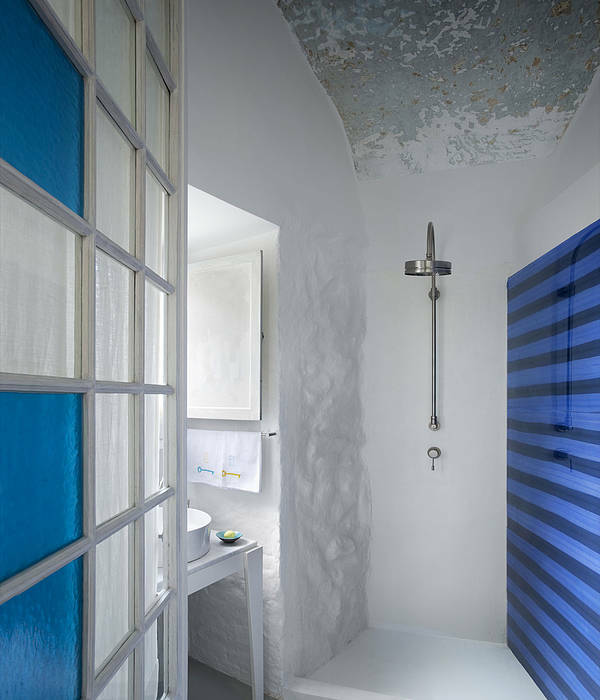 A great base from which to explore Anacapri's picturesque historic center, Caprisuite is equally well located for those keen to hit the beach (the Faro and Gradola beach clubs are both close by), or experience the glamorous social whirl in Capri's Piazzetta: just a short, and breathtakingly scenic, bus or taxi ride away.